I'm always a fan of finding affordable, yet high quality cosmetics. 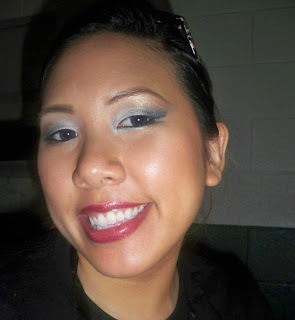 I recently had the opportunity to try out two from Max Factor. Check out my two part review! As many of you may or may not know, Max Factor was the first real makeup artist to develop products for the everyday woman. He mixed the old school grease paints to concoct easy to apply formulas of foundation, lipstick, blush and more. He's definitely a Father of the Makeup World...I'm glad his line is still around to pay homage to him. I used to use Max Factor panstick foundation back in the day (Great for drag makeup by the way), but haven't really used it too much since. I'm always in search of an inexpensive, yet high quality lipstick to add to my personal collection and kit. 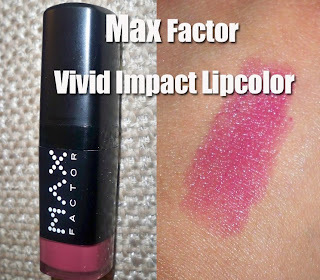 I came across the Max Factor Vivid Impact Lipcolor and decided to give it a shot. I tried out the color in shade 028. After applying it I was surprised at how super moisturizing it is...after looking at the ingredients I saw why...Shea Butter! This magical ingredient makes such a difference. It even felt more moisturizing than MAC slimshines. The Shea butter also acts like a lip balm so it seals in the moisture making the lipstick have the longevity of a long-wear product...Nice! The only thing is that I didn't like the way the color I had looked on my lips. There's nothing wrong with the product itself, but I had the wrong color for my lips and skin tone. After pondering over this for a bit, I decided to give it another go. I added a more vibrant lip pencil and voila! Problem solved! It was easy. the mascara went on smoothly. there was minimal "gunk" or extra mascara on the brush. Brush Type...too big, too small...easy to use? The brush size was easy to hold and comfortable. I liked how you could put the bottle in an upright position when you put it down while you are applying. I like to think it might be more hygenic to have it standing upright so the opening of the bottle is as far as possible from the table or bathroom sink. It was easy to remove with makeup remover and just washing your face in the shower. Went on smoothly, glided on my eyelashes, separated and elongated my eyelashes. no gunk or clumping together. It does volumize a bit, but perhaps my personal preference is for more volume. Yes! My fav thus far for mascaras in this price range! 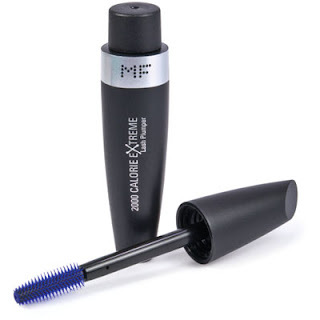 Check out a picture of Melissa using this mascara. It looks pretty clump free. She has naturally long lashes, lucky girl. But I can see how she would want a little more volume. You can find these products at any local drugstore. Till next time, Ciao Bellas! I love Max Factor. There are defy drug store brands out there that are worthy of a makeup artist's kit! I have never used any Max Factor mascara! thanks!! !